When someone utters the word activist, what springs to mind for you? Do you think of angry students marching against the hike in university fees, hurling fire extinguishers from rooftops in the process? Or maybe placard wielding anti-Trumpists taking to the streets to protest against the world’s most powerful sociopath come to mind, and rightly so! Some of you may look back to suffragette Emily Davison throwing herself in front of the King’s horse at the Epsom Derby in 1913, campaigning for women’s rights and the vote. Or even our very own environmental anti plastic hyper-eco-warrior-hula-hooper and Noisily Stalwart, Jopsyphenia Low-Carbon Econimede (Christened Joanna), who was apprehended for linking arms and lying down on the A4 to protest against Heathrow’s new runway? Pictured below. In reality, activism stretches beyond the placards and protesters, and isn’t always fought on the streets of our cities, or the news feeds of social media. 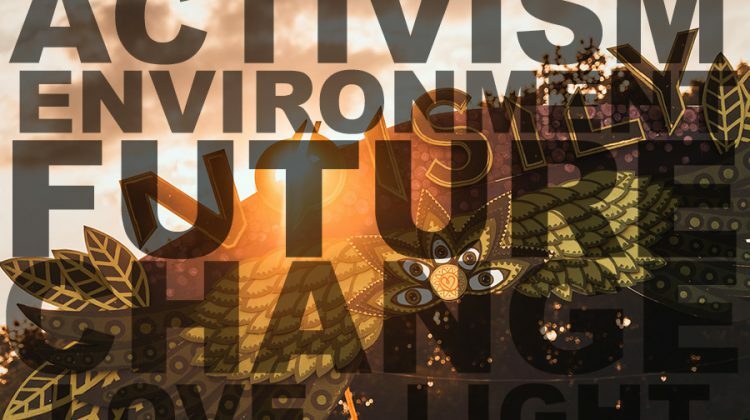 There are many forms of activism, some far more subtle than others, but in all its guises it is a catalyst for evolution, and evolution works on its own self-fulfilling method of differentiation and integration. What I mean by that, is that even though in all evolutionary history dating back billions of years there are both progressive and regressive steps, that everything ultimately evolves upwards. So whilst the current and extremely toxic footprint of the human race on the biosphere is a mounting disaster, and we are indeed approaching the “point of no return”, it simply isn’t sustainable. As a result we will have to evolve past our current consumer behaviours or risk total annihilation, in which case the world would carry on with or without us either way, on it’s seemingly never ending path through the universe. Evolution differentiates between what is serving the planet’s best interests, which is to say its ecological balance, and what is not. What isn’t will die out. Author, activist and teacher Terry Patten has dedicated the past fifteen years to the integral project of evolving consciousness through practice and facing, examining, and healing our global crisis through the marriage of spirit and activism. In his book ‘A New Republic of the Heart – An Ethos for Revolutionaries’ he defines the process of “differentiation and integration”. So basically carrot top Donald will undoubtedly bite the dust in a cloud of ignorance so toxic it would fall foul of the new LEZ regulations, weighed down by his God complex and the idea that somehow he is superior to nature itself; whilst we, the informed Noisily crowd, will be taking tea with Elon Musk in the Mind Tent at Noisily 2096 thanking our lucky stars that we did the necessary evolving! As the population grows and the evolution of humankind speeds up on an exponential curve thanks to quantum leaps in technology over the past ten to fifteen years, so our mutual distrust and divisions have grown too, resulting in a dramatic increase in social unrest. Where marked changes in society and industry would take decades or even lifetimes to take effect, so passing by the people so gradually as not to be noticed, or have a dramatic effect on their existence, in the world we live in now vast advances are made in the matter of just a few years. This isn’t exclusive to technology and industry, as spirituality and the inner work, the inner activism, take a hold of a generation of Millenials who have woken up to the consensus reality in which they don’t want to play a part. It is the first time in history where so many people are looking to revise or even shatter the old social agreements that others have clinged to for decades. This has resulted in an increasing social and emotional divide between generations, and understandably so, as parents and grandparents who have spent their whole adult lives adhering to a set of rules and social etiquette laid down by antiquated traditions that ultimately don’t serve our higher purpose, are having everything they have been lead to believe, and tried to lead us to believe, challenged and questioned. So what is our higher purpose, then? To serve, love and honour ourselves, each other and the planet in a way that is kind, considerate and forsakes nothing or no one. That is surely the greatest reward. 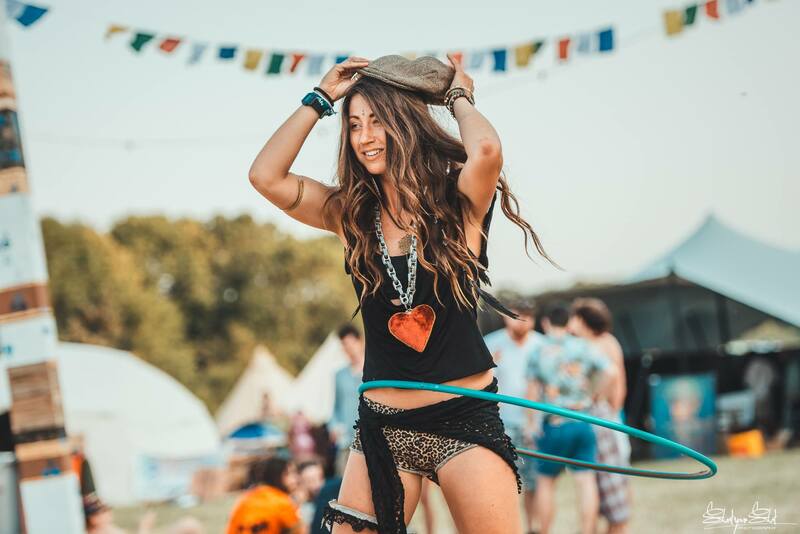 It is our desire at Noisily to have these conversations, to open the social and emotional dialogue and awaken the possibilities within ourselves, transforming the collective consciousness of those who attend as one big festival family, and the individuals within. In developing this narrative we want to ask questions of ourselves, each other, and society, that challenge and encourage all those involved to unlock their inner potential and act on it to make the world a better place. It is absolutely crucial that these conversations begin to build connections across all the world’s subcultures, however standing in the way of our personal growth and inner activism, is a whopping great elephant in the room; Fear. For many, the idea of complete system change not only challenges everything that gives their lives a sense of meaning, it also implies a bleak future that has no place for the legacies they want to leave behind. However, and perhaps even more terrifying, is the fear that were we to face our global social, emotional and environmental predicament head on, that we would change our lives beyond recognition and it may come to nothing anyway. It’s a tough one, and fear is the defining universal emotion that we all share, and it stems from a fear of rejection dating back tens of thousands of years to hunter gatherer times when being rejected from you tribe would mean certain death. Probably at the hands of a saber tooth tiger, or some other awesome creature from whatever that period of history is called! So, fear is in our DNA, but so is hope, and these two frequently go head to head whenever we try to engage in objective discussion about the state of global affairs, often manifesting in denial and submission to the consensus trance as an easy route away from activism. 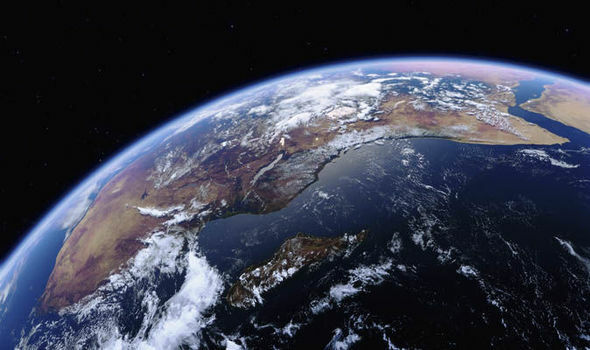 But where this has worked before, we are now approaching a tipping point in our existence as humans because of the stress we are putting on the planet and its ecosystem, we are on borrowed time, and we have to act now. The future is full of challenges, and speaking frankly they are enormous and unprecedented, and the first step is to acknowledge them in their entirety and meaningfully. But with these challenges come opportunities, and together we have a chance to change tomorrow’s World and rewrite the course of history. Maybe this sounds like a tall order, and perhaps you’re asking yourself – “What could I possibly do to help? How could little old me change the course of the future? Where to I begin? !” Well it starts within, and that is why you should ignite your inner activist, to cultivate intimacy with yourself, with all of it; the good, the bad, and the downright ugly. Because if you can change the way you exist, and the way you interact with yourself and those around you, you will affect positive change and inspire those around you. 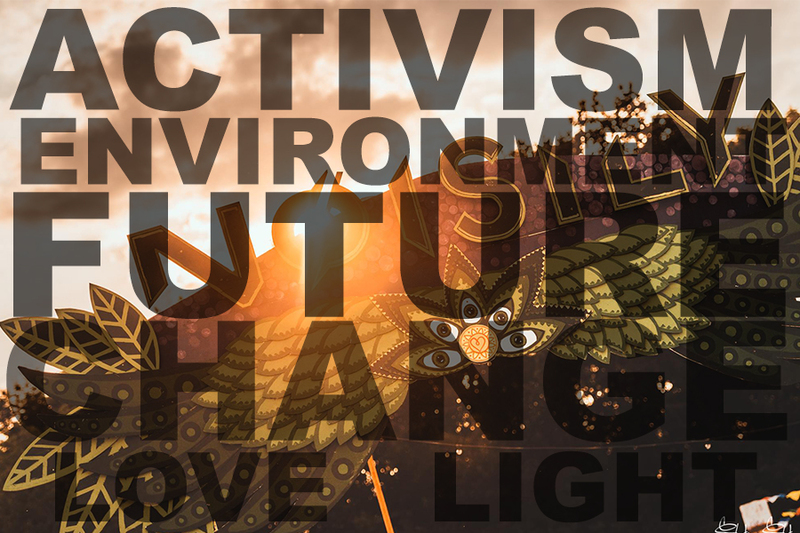 Next week we’re kicking off our own activism efforts by reviewing our environmental initiatives in 2018, sharing our plans for the future, and asking for your input during that process. For now, just remember that once you’ve woken up you can’t go back to sleep, and although it may not seem like it, we’re all in this together.